It’s ‘panda-monium’ as Belfast Zoo celebrates birth of twin red pandas! Belfast Zoo is celebrating the birth of endangered twin red panda cubs! The pair were born to parents, Chris and Vixen. Chris arrived at Belfast Zoo, from Beekse Bergen Safari Park in the Netherlands, in 2013. As part of the collaborative breeding programme he was joined by a female, named Vixen, who arrived from Dresden Zoo in April 2017. The pair hit it off straight away and after a gestation period of approximately 135 days, Vixen gave birth to two healthy female cubs on 19 June 2018. 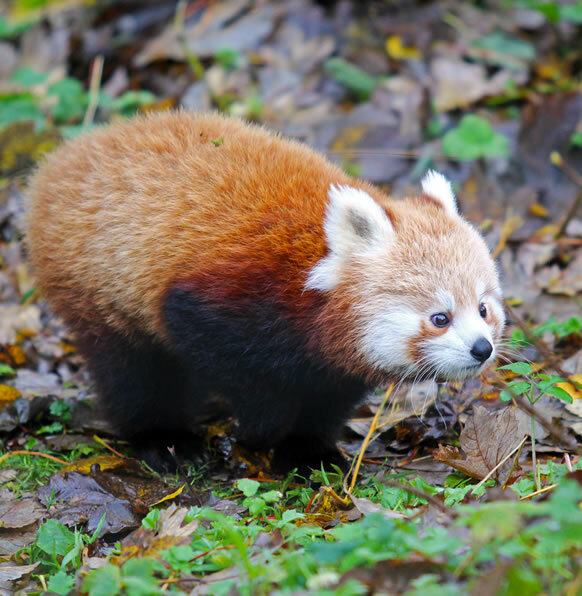 You can support the vital work that Belfast Zoo carries out by adopting a red panda. Find out more at www.belfastzoo.co.uk/adoption, call 028 9077 6277 extension 229 or email adoption@belfastzoo.co.uk. Belfast Zoo is open every day (except Christmas Day and Boxing Day) at 10am, last admission is 2.30pm and the zoo closes at 4pm. Photo Caption: Vixen gave birth to two healthy female cubs on 19 June 2018. Red panda cubs are born blind and develop slowly. They spend the first few months in the den.